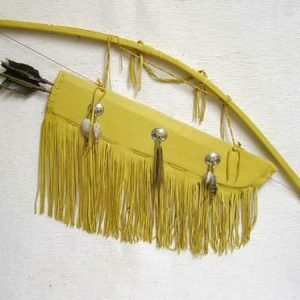 This is the unique TIBETAN LAMB BOW & QUIVER. The quiver measures approx. 27″ in length. 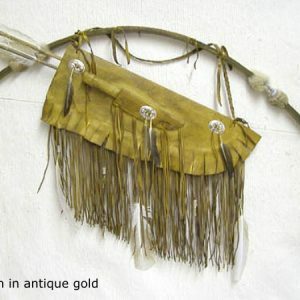 It features a full Tibetan lamb pelt over genuine buckskin leather. 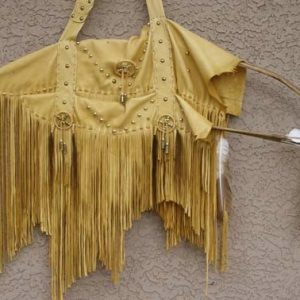 It is decorated with long, luxurious fringing, feathers & usually some colorful beads. 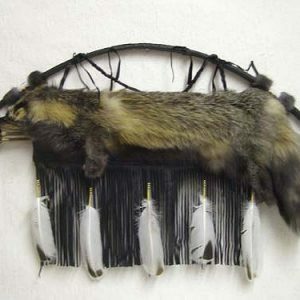 Decorations such as featherss & beads may vary. 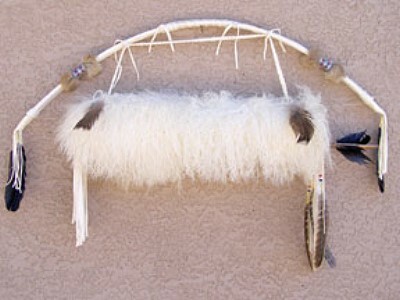 Inside the quiver are two (2) plain arrows with either bone or pewter(metal) tips. Additional arrows may be purchased separately.